I am happy to update you on King Arthur (Flying W Farms Magician). I have had him nearly a year and a half now and he is the horse I have always dreamed of owning. Thanks for raising such a wonderful horse. Arthur lives at a local community barn in a feeding pasture with 16 horses, both mares and geldings. 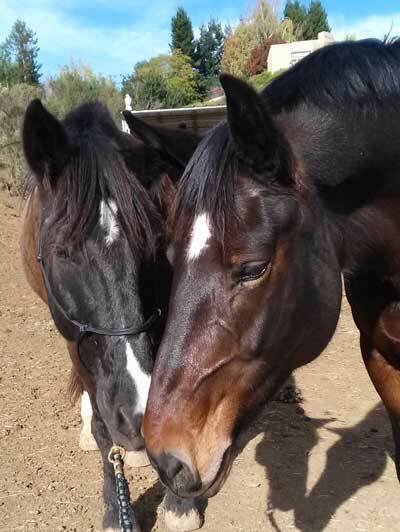 One of his best buddies is a Percheron cross mare named Ivanna. Arthur has lived at this barn for at least 10 years and has always been my favorite. 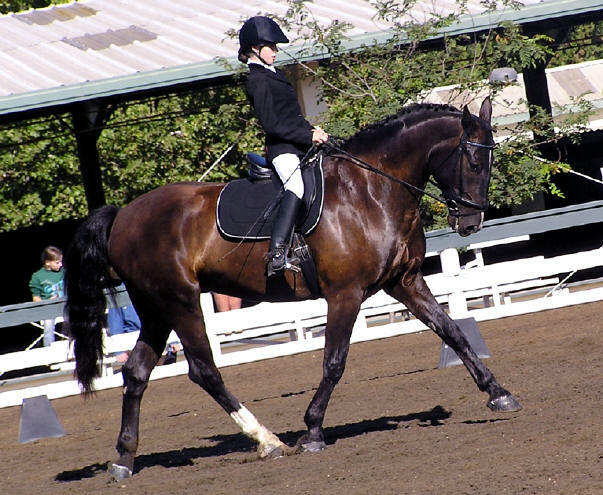 When I first met him, he lived in the big historic barn and his owner did dressage. He was then a lesson horse with the Year Round Riding Program teaching children to ride. Then he belonged to a woman that loved him dearly, but didn't have a lot of time to spend with him. He is now my beloved companion and I promised him that he will be with me always. I couldn't believe my luck when his previous owner agreed to sell him to me. Arthur loves attention and is truely a gentle giant. We enjoy trail rides and also often go for hand walks in the woods behind the barn. He free lunges beautifully, both in the round pen and in the arena. His favorite thing is to be turned out in the arena for free play, which we are able to do when the barn is not busy. Arthur is a delight and everyone in town knows him. People seem drawn to him. Arthur and I enjoy trail rides together a few times a week, and I see him almost daily. He loves attention and is very silly! I ride him in a bitless bridle (side pull) and he has never given me a minute of trouble. He is very level headed and will go out alone or with others. Thank you so much for raising such a perfect horse! My husband and I are casually looking for property where Arthur could live at home. I volunteer with a handicapped riding program at our barn and agreed to also take a mare that they have retired to be his companion. shown here with his young rider Riana who also helped train him!!!! Riana and Magician went to their first local schooling dressage show as a team over the weekend (see pic attached). WOW!!! Out of the 3 classes entered they placed Second, First and Second. They earned a 75.238% on the second class (Intro B). They were very well received and at least ten people asked about his breeding. The judge’s remarks were…....”lovely movements” and “nice bending”. The coordinator of the show even came over to tell me they are a “beautiful pair and should go far”. Magician is the love of Riana"s life. He’ll be a part of our family forever. Next step is the California Dressage Junior Championships in August. all wrapped up in one perfect package. He is 17 hands now. Thank you for providing such high quality performance horses. Lynda Krogh (their trainer) is so pleased with their progress. Lynda has encouraged Riana to put all of the training into him herself which is a pretty huge accomplishment. Riana has never been happier! 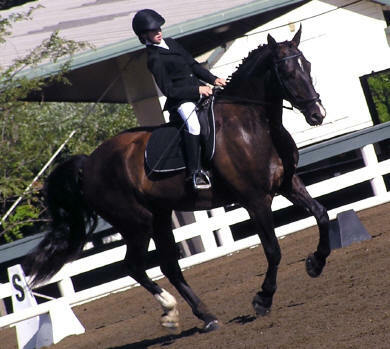 Riana and Magician had a wonderful 2004 show season for their first year together. The California Dressage Jr/Yr Championships were a big success. They are so excited and ready for 2005. Magician draws so much attention it's always entertaining where ever we take him. He has a great mind and personality plus. An FEI "l" judge wrote, "Nice horse" on the test. You can't ask for a greater compliment than that.